You launch Edge on your new PC, search for “download Chrome,” and click the first result headed to “google.com” on Bing. You’re now on a phishing website pushing malware, disguised to look like the Chrome download page. Microsoft is apparently not verifying the web address the advertisement actually goes to. Bing is letting this advertisement lie people. Friedman had previously promised “We are not buying GitHub to turn it into Microsoft.” Still, alongside its $26.2 acquisition of LinkedIn, Microsoft now has a unique insight into developers and the tech industry job market. Many will question what Microsoft expects from its $7.5 billion investment, and the company will now be able to move ahead with its plans for GitHub and reassure its community of more than 28 million developers. The open-source community seems healthy (and expanding), but there are always developers who haven’t contributed so much as a single line of code to a Github repo. According to Digital Ocean, which surveyed more than 4,300 tech pros, the reasons those developers haven’t gotten more involved in open source are pretty straightforward: They’re often intimidated, and they don’t know where to start. Of those who hadn’t yet gotten involved in open source, 45 percent claimed it was difficult to get started, while 44 percent said they didn’t have the right skills to contribute to a codebase. Another 30 percent said their companies hadn’t given them time to contribute, and 28 percent cited the aforementioned intimidation factor. Like any good hacker in that position, instead of just disappearing, he has made his project, WPInternals, open source, meaning any good developer can take over his work, to update, modify or bug fix. Linux over recent years has made huge leaps in usability. Distributions like Linux Mint have made installation and setup simple. Even non-technical users can install software and do normal day-to-day activities like web browsing, answering email, playing music or watching video. 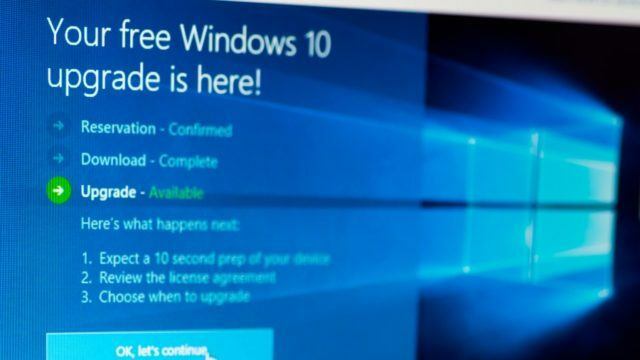 According to numerous reports, the recently launched Windows 10 October Update is causing font issues on users’ PC. It seems like many users are dealing with some kind of “broken fronts” where font on Windows programs is getting distorted, making it impossible to read the text. At first, it was only a few Windows apps but now users are complaining that the Windows system settings and even web browsers are showing the same broken fronts. In a Reddit post, people reported that they are facing broken fronts while opening web browsers like Google Chrome. The problems with the Windows 10 October 2018 Update just keep on rolling in as users complain of borked zip file extraction, broken fonts and iffy brightness controls.